Home to Australia’s very own city of Sydney, New South Wales is the most populated state in Australia with a myriad of exciting destinations on offer. And if there’s one thing that makes the travel worthwhile and happens to be one of the reasons the area has gained a lot of attractions, it definitely lies in the culinary department. With the wide variety of different culture in New South Wales, cuisine and food options are not only limitless, but as good as a local delicacy. 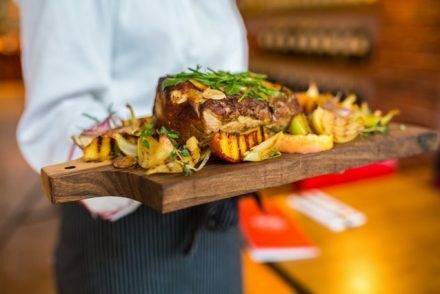 In this post, we’ll uncover more about Sydney’s best food you can certainly watch out for on your visit, and local delicacies off the beaten path in South Coast just a scenic drive away from the city. As Regional areas of New South Wales is filled with lush greeneries and fertile soil, Sydney has an easily accessible supply of fresh produce sourced from orchards and farms surrounding the area. 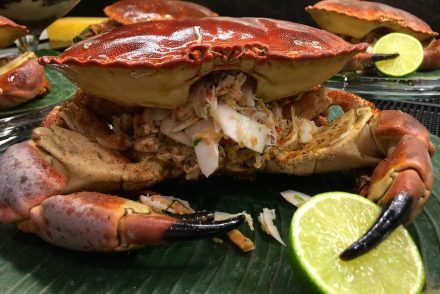 Indulge in some fresh seafood in Sydney Fish Market, one of the world’s largest seafood market, and fruits plucked straight from a tree in a local farm in country NSW. A ride to Eveleigh from Central Station just a few minutes’ walk away from CBD is Carriageworks Farmers’ Market, where you can enjoy a range of fresh or cooked food every Saturday morning. 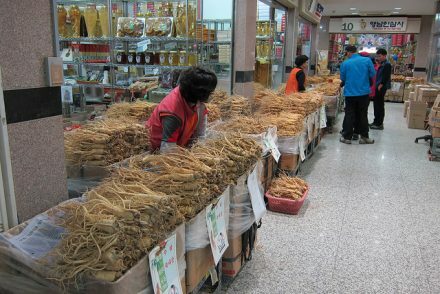 Or go across the Sydney Harbour Bridge every third Saturday of the month to stock up on fresh fruits and vegetables in Northside Produce Market just a 10 minute train ride from the city centre. 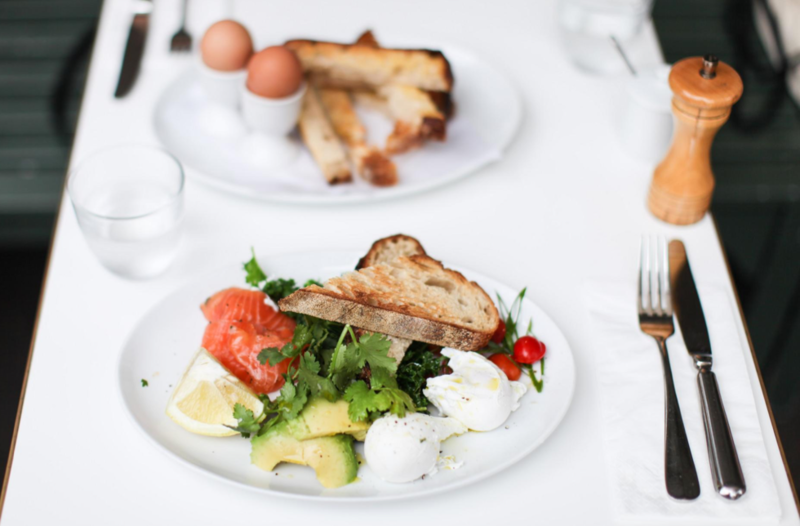 A staple for millenials living in the 21st century, brunch in Australia is as strong as the coffee culture. We take coffee very seriously here in Sydney, battling the hustle and bustle of the city by starting our days very early in the morning – which comes in hand with a great, fulfilling breakfast. As a metropolitan hub, there are many unmissable brunch and cafe spots in Sydney cooking up interesting combinations from traditional, fusion to fine methods to serve classic brunch dishes, like egg benedict and avocado toasts while still maintaining an aesthetically pleasing spread. An area particularly famous for their intriguing Australian food choices is the hip Surry Hills, located in the delightful inner Sydney neighbourhood just a few minutes’ walk away from Central Station. A convenient location with hidden gems tucked within the alleyways and Crown Street, its main road, it is definitely the perfect place to be for your true Australian brunch experience. Blessed with beautiful, scenic beaches surrounding the corners of the city centre, spend your day escaping the CBD’s fast pace and treat yourself to a glass of wine by the beach. Hop on a ferry from Circular Quay to Manly Beach and enjoy a scenic coastal walk to Shelly Beach for some fun in the sun in an untouched beach only known by Sydney locals. Go for a swim and indulge in a seafood feast at The Boathouse Shelly Beach, accompanied by sparkling mimosas to truly relax and unwind. As the world’s fourth largest exporter of wine, it is simply impossible to not incorporate a day trip to a local winery during your visit. Hire a car and explore areas outside the city centre, with lush vineyards and great wine, altogether with friendly Australian culture to truly show you a well-rounded experience in your trip. Go North and visit the tranquil and famous Hunter Valley for a day trip, or stay overnight for a relaxed weekend. Start your trip with a long lunch at Bistro Molines, with locally sourced fresh produce and exclusive Hunter Valley wine overlooking green hills and courtyards. Then follow with a wine tasting tour hosted by local wineries for a fine selection of delectable cheeses and wine exclusive to the region. If fresh seafood is what your taste buds are craving for, going south of Sydney is definitely the way to go. 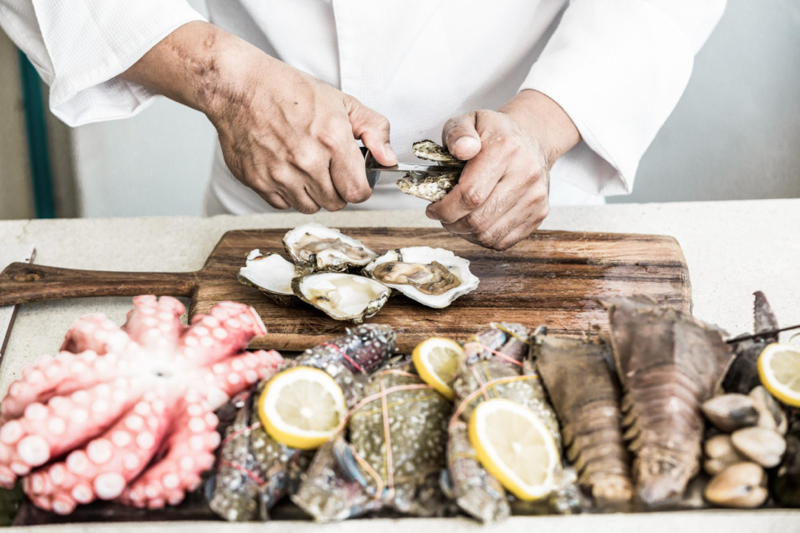 Surrounded by breathtaking coastlines and beaches, the South Coast is popular for their freshly shucked oysters from Oyster Coast and some smoked seafood in Eden Smokehouse. Dine by the waters at Batemans Bay or Merimbula, just a few hours’ drive from Sydney city and spend the night in Wollongong or Jervis Bay for a weekend getaway. Pro Tip: Make sure to make a stop in Kiama Blowhole, a world-famous nature scenery of the South Coast in the town of Kiama, a tranquil beachtown as you drive through the scenic route of Grand Pacific Drive! Although you might want to bring a spare change of clothes, just in case the water splashes gets too hectic. Surely, when you think of Sydney sightseeing, what comes into mind would be the Sydney Opera House and Harbour Bridge. However, it certainly wouldn’t hurt to take a few tips from the locals and venture out of the city to really immerse yourself in the landscapes, nature and great people! 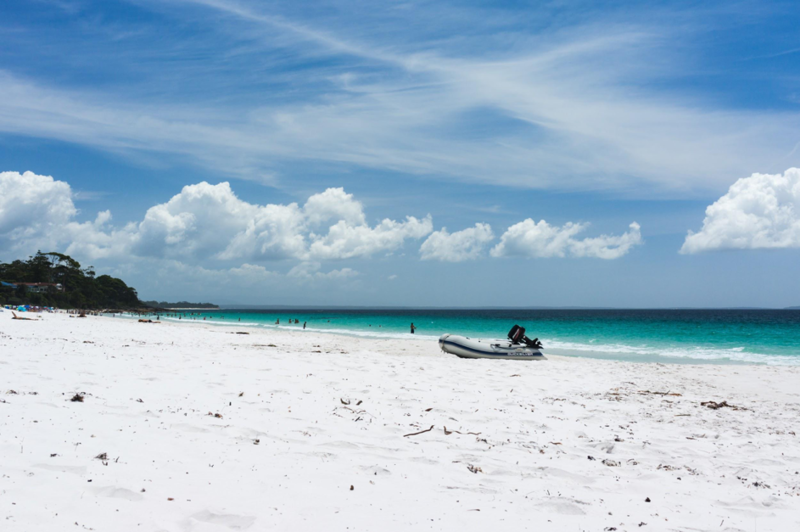 The famous Hyams Beach in Jervis Bay caters to locals of different demographics by its charming and scenic beauty. There are so many activities to choose from, such as whale watching, water sports and kayaking, or Aboriginal culture in Boodeeree National Park just south of Jervis Bay to discover more about local indigenous heritage and history through their guided tours. With the variety of things to do in Sydney and the cities surrounding it, what you can take out of New South Wales is definitely a longer list than this one! So be sure to do your research and plan ahead to allow you (and of course, your taste buds) get the most out of this trip.